Articulation (also referred to as Direct Entry) describes a pathway that allows students to progress from an HNC or HND directly into the 2nd or 3rd year of a degree programme i.e. without having to start at year 1. Since the disbandment of the articulation hubs in 2016 (as outlined below) there has been little sparqs activity recently in this work area. However, we would be keen to work with any institutions that are interested in developing their student voice work with articulating students. If you are interested in working with us, please contact Eve Lewis. Our previous articulation work is outlined below. 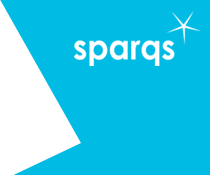 In 2014/15 sparqs was involved in a joint project with ELRAH (Edinburgh, Lothians, Fife and Borders Regional Articulation Hub) to increase student engagement in articulation. ELRAH was one of five regional articulation hubs, funded by the Scottish Funding Council. The hubs, which have now been disbanded, brought together a consortium of universities and colleges to work collaboratively to improve articulation in the region. The project in 2014/15 aimed to identify, improve and share good practice in student engagement and increase the student voice in decisions made about articulation; and to develop better student engagement through the transition from college and university. With this in mind, we established a regional student group on articulation. Members of this group include edlected officers, class reps, school officers and students with an interest in or experience of the transition from college to university. The group provided a forum in which students could discuss and address specific issues relating to articulation, particularly in the areas of learning and teaching. The work of the group fitted with the Enhancement Theme at the time: Student Transitions. Having successfully submitted a student-led proposal, the group ran a workshop at the international Enhancement Themes Conference in June 2015.
sparqs contributed to the 'Articulation for All' conference which took place on 5th September 2014. We gave a keynote speech on whether learners are at the centre, based around the Student Engagement Framework for Scotland, and also ran a workshop on student engagement in articulation. You can view the presentation from our workshop and read more about the conference in our news article published after the event. If you would like more information about articulation, or our previous work with the articulation hubs, please contact Eve Lewis.